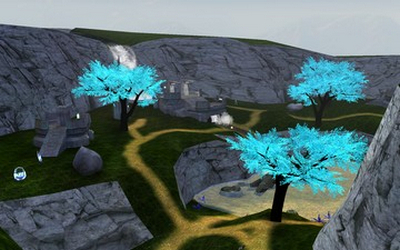 Description: A variant of Snow Grove edited as Halo Reach. This map is Snow Grove released as Halo Reach With New Textures, contains new weapons, vehicles, effects, and much more, etc. 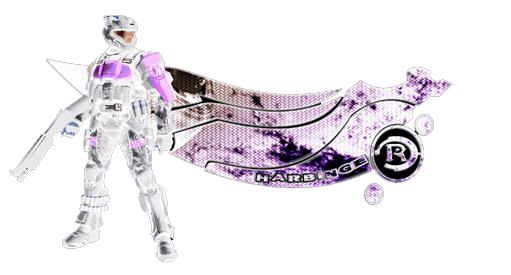 Thank you to all Players who attended Event Horizon Session #49. [HR]Forest Treacherous is a Large Sized Map, (identical in layout to Snow Grove) with visually attractive Halo Reach Styled Green Scenery, offering Custom Weapons and Custom Vehicles. The Map Textures are excellent, and it's a real joy seeing the Halo CE Game Engine so fully utilised. The first thing noticed is how colourful and artistically pleasing to look at [HR]Forest Treacherous is. In fact it almost looks like a New Map, but with the familiarity of the original Custom Map minus the Snow. All Game Types appear to be supported, but for some reason Race crashed the Server. However that was the only time the Server crashed. CTF, KOTH and Slayer Game Types are recommended. Sniper Juggernaut works, although Bipeds Spawn without a Weapon and so isn't great. The Ghosts work until damaged, (and stop functioning) eventually they will explode upon receiving further damage. The other vehicles are Hogs which are good. The H3 Weapons are loud and powerful, but enjoyable to fire. The Pistol is especially good. Perhaps the weapons are a bit underpowered, but not so much as to make using them a big problem for Players. The HUD "Cracks" after receiving damage, which is a feature you either Love or you Hate. This Event saw a Maximum of 10 Players, (averaging ~ 8 ) on the Map, (and it would have been good to have had 16) but all the same it was a great Session that lasted well in excess of 3 Hours. [HR]Forest Treacherous, (dependent on Game Type) is recommended for 4 Players upwards. Personally I enjoyed Playing [HR]Forest Treacherous and definitely would play this map again.